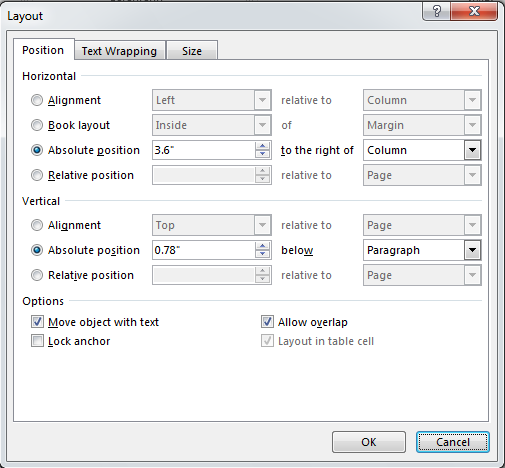 Live Layout is a new feature in Word 2013. It is a useful tool that enables users to position images, charts and diagrams with unprecedented ease. 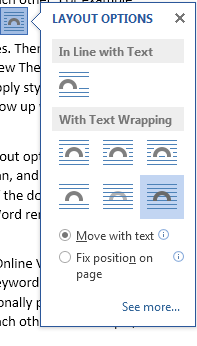 If you learn how to use Live Layout in Word 2013, you will not have to worry too much about any images in your document not being in the right place. This step-by-step tutorial will teach you how to use Live Layout in Word 2013. Step 3: Insert an image or a diagram into the document. In this document, we’ll insert a shape. Step 6: Some image adjusting options such as text wrapping options and text lining options will appear. If you wish to make any other changes to your image positioning, click on See more… Here you can change the positioning, text wrapping and size of an image or a chart.